After much consideration on where to spend our honeymoon, we decided Maui would be the best for all of our honeymoon desires. 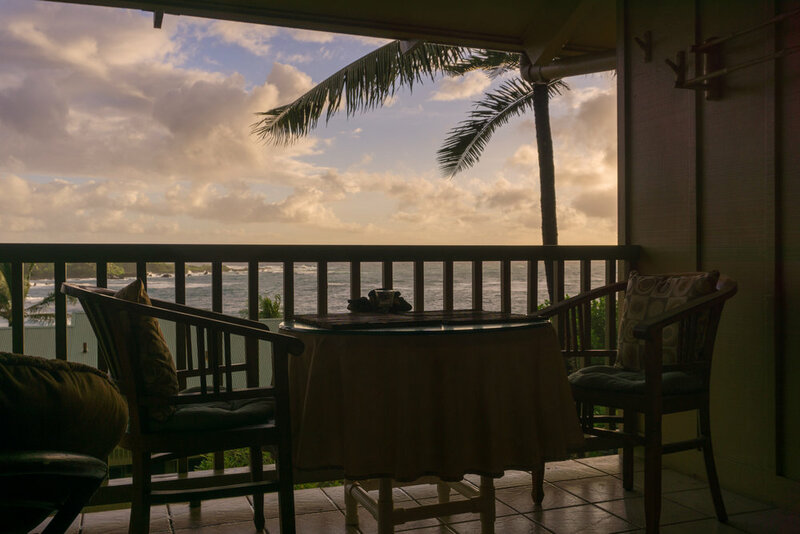 We were looking for a place that was both relaxing and adventurous - and Maui is just that! We sipped cocktails by an infinity pool directly facing the sunset, watched the sunrise from atop a volcano, and hiked to see the many waterfalls and beaches around the island. 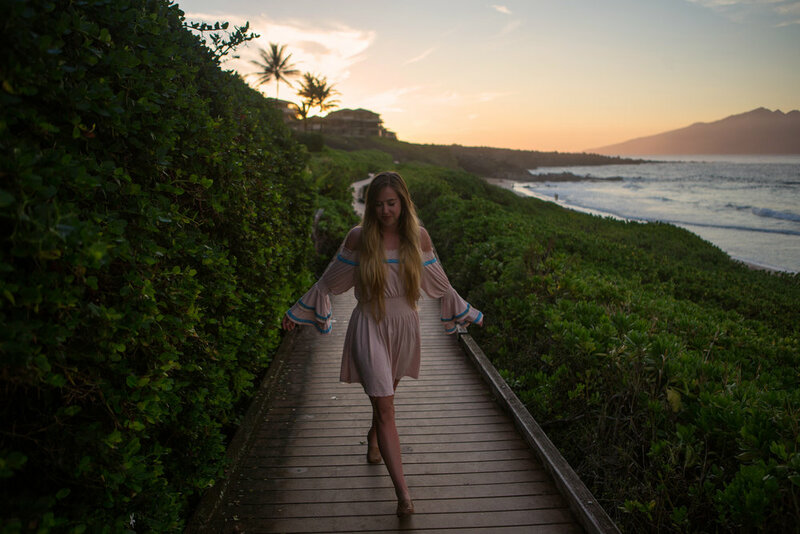 I don't want to give away too much, so take a peek at my Maui Diary below! We started off our adventure with a drive to see Makaluapuna Point, aka Dragon's Teeth, for an absolutely magical sunset! I don't think I could have matched the sky and reflected ocean any better than with that Smocking Dress by Pitusa. Welcome to our Honeymoon Home #1, y'all - nestled in the rainforest of North Shore at the start of Hana Highway! We stayed here for a few nights, and really got that Hawaiian experience. 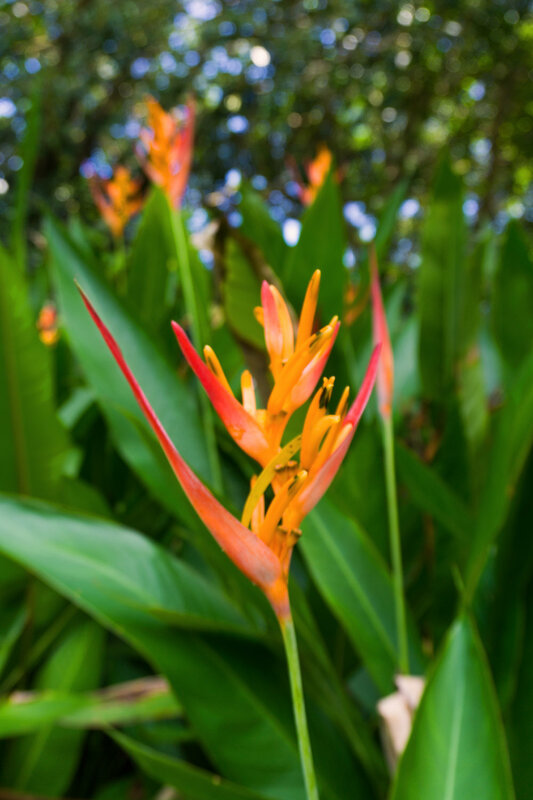 There were geckos, fruit trees, and the most vibrant flowers surrounding the property. The location was also great because it was central to many places around Maui - including one of our favorite areas, Paia! In the photos above & below, I am wearing the Solid Flare Top and Solid Flare Pant by Pitusa. Yes, that loft is inside of the tiny home! How cool are those steps leading up to it? 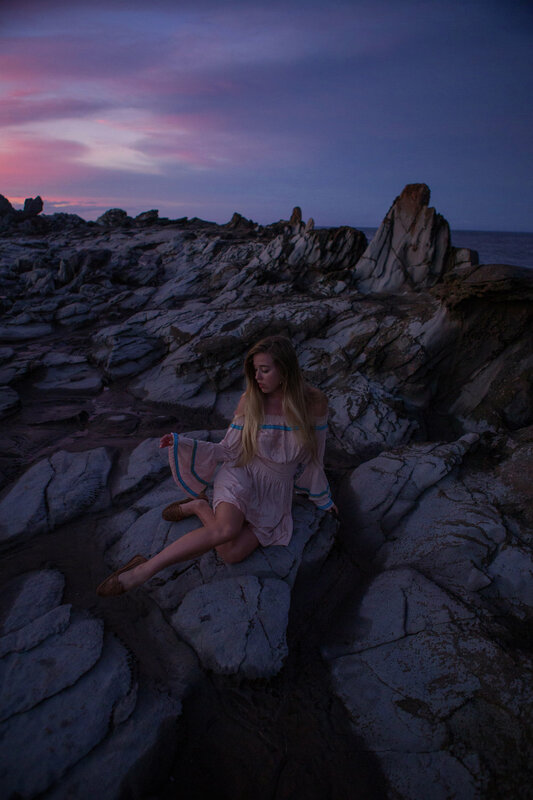 I loved hanging out at this dreamy spot wearing that Lilah Lace Robe by Show Me Your Mumu! The flowers surrounding the tiny home property were just *gorgeous*. I couldn't help but capture them after an afternoon shower when the colors were so vibrant! 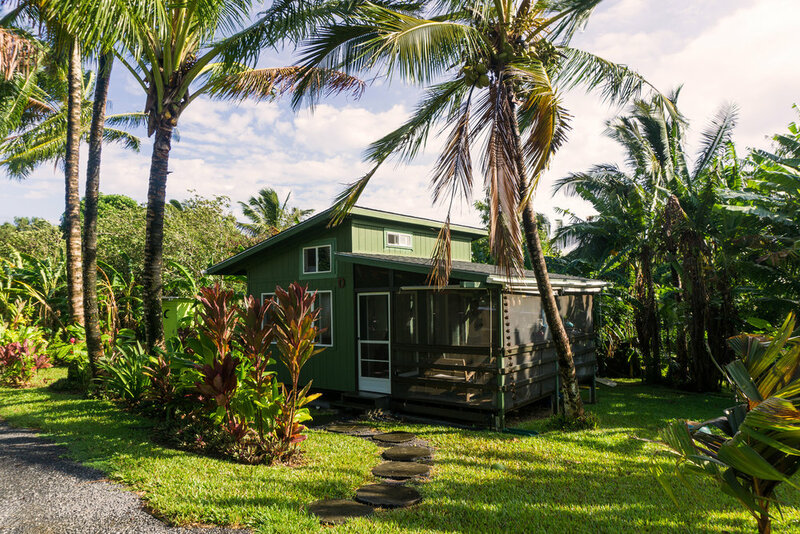 Once we left our tiny home on the North Shore, we headed east on Hana Highway for our Honeymoon Home #2 located right in Hana on a black sand beach. See below for the view from our balcony! Black sand beaches are really something else, huh? The contrast of the black lava rock with the greenery and ocean blue tones were mesmerizing! I especially loved the mood as the storm clouds rolled in. My ivory top and mustard velvet pants from Flying Tomato really stood out in these images! Sunshine, tan lines and black sand beaches are such a great combo! This particular honeymoon home was a favorite because you could hear the massive waves crashing onto the shore from bed. I mean, you can't really find a better sleep soundtrack than that, huh? In the photo above, I am wearing the Scorpio Bodysuit by For Love and Lemons, Kimono by Flying Tomato, and Wide Brim Boater Hat by San Diego Hat Company. 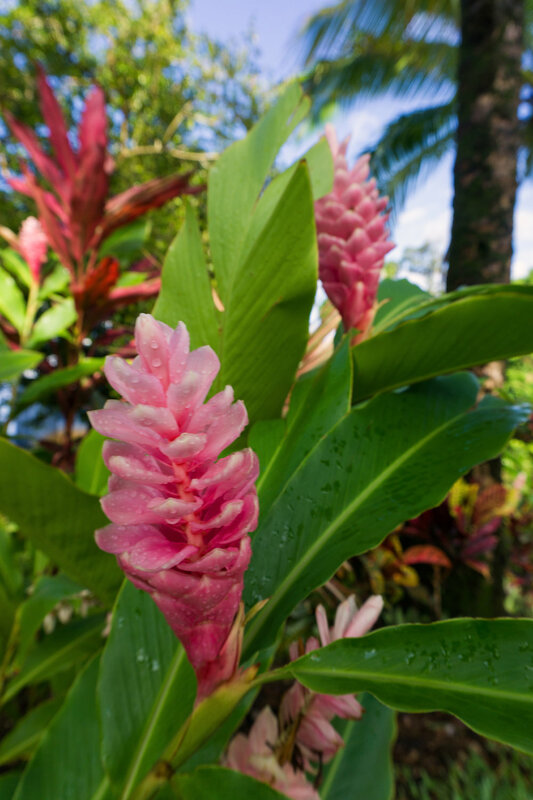 We also enjoyed staying in Hana, because it put us right next to waterfalls and a red sand beach. Although tough to swim in, the red sand beach was so beautiful. I mean, come on, how often do you come across a red sand beach? This *lush* jungle was located right beside our Honeymoon Home #2 and was the perfect backdrop for the Solid Flare Top and Pants by Pitusa. Our Honeymoon Home #3 was a bed and breakfast located in Kula which is in the mountains at the base of Haleakala. We wanted to stay here so that the early morning sunrise drive wouldn't take so long, but we ended up LOVING the house we stayed at. The view from the balcony was unreal - you could see all of Maui. We wish we could have stayed here longer. It was a bit colder in Kula compared to the rest of the island because of the elevation, so I was happy to have a sweater and pants by Flying Tomato that paired so well with my Loren Sunkissed shoes by 5yMedio. 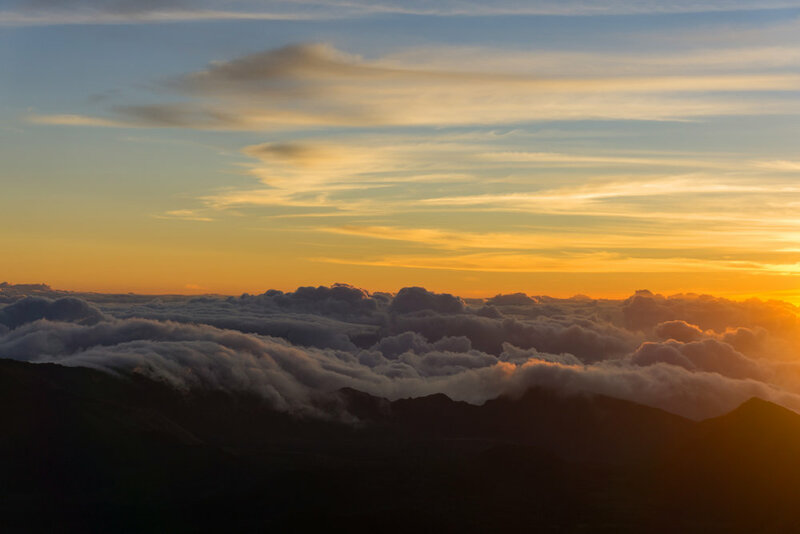 The above photo was taken at Haleakala around 4:30AM - right as the sun was starting to peek above the horizon. It was so cold at the top, so for anyone who is planning to see a sunrise there: DRESS WARM! You are also required to reserve a parking spot at the top, so make sure to do that as well. Among the shivers, was a sense of so much happiness - I truly felt like I was above the clouds. I was captivated by the many colors that filled the sky as the sun rose - literally 360 degrees of hue heaven. For anyone considering this early morning adventure, do it! Our final Honeymoon Home #4 was the Wailea Beach Resort - Marriott. We wanted to end our trip on a relaxing note, and oh my we relaxed SO WELL! Cocktails by the infinity pool and short drives to the many scenic beaches in Wailea was the perfect finale. There's also some amazing snorkeling in Wailea - which I highly recommend doing early before the wind and crowds pick up! There I am on our hotel balcony (above) and enjoying a nice sunset (below) wearing the Milano bikini from Khongboon Swimwear. For all of you couples in search of the perfect honeymoon - make sure it involves an infinity pool! This one was so serene during sunset. Here we are at the end of the diary, finishing it off with our final sunset before boarding our 10PM flight to LAX. We drove through a random neighborhood and somehow ended up at this beach to catch a stormy sunset while I was wearing a pale pink dress by Jealous Tomato. I hope you enjoyed our 'mauimoon' diary! It was a memorable honeymoon, that's for sure :) Coming soon - wedding photos!